Airparks Luton provides a professional service, secured compound and reliable transfer service all at a great price. 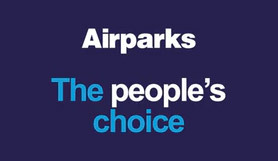 Airparks is fenced and floodlit and has 24-hour patrols and CCTV. This car park has been awarded the Park Mark, a national security award accredited by the Association of Chief Police Officers. Before being awarded the Park Mark, car parks have to be inspected by the police. They have to have modern security measures, such as alarms and CCTV, and be clean and well-lit. Leave the M1 at junction 10. At the roundabout which goes over the motorway, take the exit signposted Luton and the airport (A1081). At the next roundabout (junction 10A), take the third exit onto the A1081 for Harpenden/St Albans. Take the first right onto Newlands Road, following the sign to Airparks. Take the next left signposted Slip End and Markyate (B4540). At the traffic lights in Slip End, turn right into Grove Road. Take the first left into the service road and Airparks is 100 metres on the right. Follow the A505 into Luton. At the airport roundabout, follow signs for 'Other routes, Parkway and the A505'. At the next roundabout, go straight on and follow signs for the M1 and St Albans (A1081). At the next roundabout at junction 10A of the M1, take the first exit for Harpenden / St Albans (A1081). Take the first right onto Newlands Road and follow the signs to Airparks. Take the next left signposted Slip End and Markyate (B4540). At the traffic lights in Slip End, turn right into Grove Road. Take the first left into the service road and Airparks is 100 metres on the right.